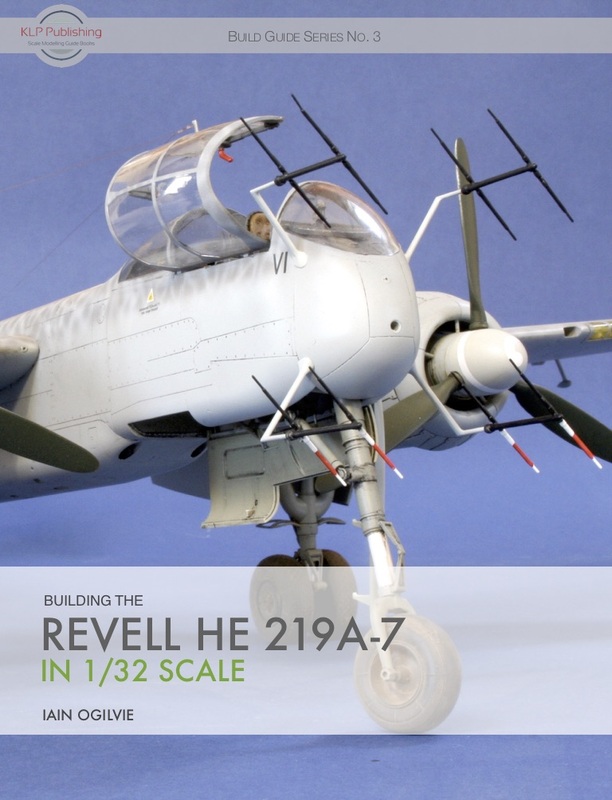 After a protracted development period, I’m pleased to announce that our latest eBook, Building the Revell He 219A-7 in 1/32 Scale, by renowned UK modeller Iain Ogivlie, is now available! In this 101-page eBook, Iain tackles the Revell 1/32 scale He 219A-7 kit, finishing it to a superb standard. Along with covering the construction, painting, decalling, and weathering of the model, Iain navigates a simple but ingenious way of correcting the kit’s major flaw: misshapen engine nacelles that are set at an incorrect angle. Along with Iain’s terrific build, the book also features a a review of the base kit, a selection of photos taken of the real He 219 a NASM, and a set of appendices covering available aftermarket products and reference books. The book is available from our web shop for 15 Australian dollars. I’m pleased to announce that our next title focusses on the Revell 1/32 He 219 kit, and is titled—appropriately enough—Building the Revell He 219A-7 in 1/32 Scale. This will be number 3 in our Build Guide series, and is written by well-know UK modeller Iain Ogilvie.